There is much that has been written and said about the beauty of the Greek islands. But lost in the commotion over Mykonos, Santorini, Rhodes and Corfu is the fact that some of the most beautiful and interesting places in Greece are not on the islands, but on the mainland in areas like the Peloponessos. 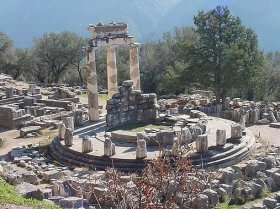 For many, the Peloponessos is the true Greece and it is as worthy a place to visit as any ten islands combined. Lots of great beaches, sea, mountains, interesting towns like Githeon. The Diros Caves are the most amazing natural attraction in Greece along with the volcano of Santorini. Visit the Byzantine city of Mystras overlooking the city of Sparta. 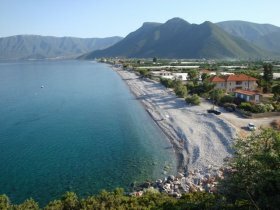 The town of Leonidion has a beautiful beach that is rarely crowded and is surrounded by mountains and fields at the end of a long gorge. 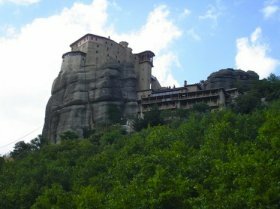 The Mani whose fierce inhabitants played a central role in Greece's War of Independence, has never been conquered, not by the Turks, the Nazis or tourism. Elefonisos is an island in the Peloponessos with sea the color of the TV commercials that make you want to visit Jamaica. Visit the fortress town of Monemvasia, Greece's answer to the Rock of Gibralter, with me on the hottest day of the year, if not the century. See my pages on Ancient Olympia too where the Olympian Games began and you can still run in the ancient stadium. 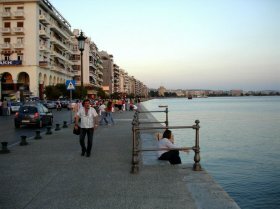 See also the Town of Kalavrita. Great skiing in the winter, beautiful mountains, a fantastic gorge and a narrow guage train that climbs through it for 22 kilometers past waterfalls and rapids, and the spectacular Cave of the Lakes. This is a nice place to visit in the off-season, especially when there is snow. 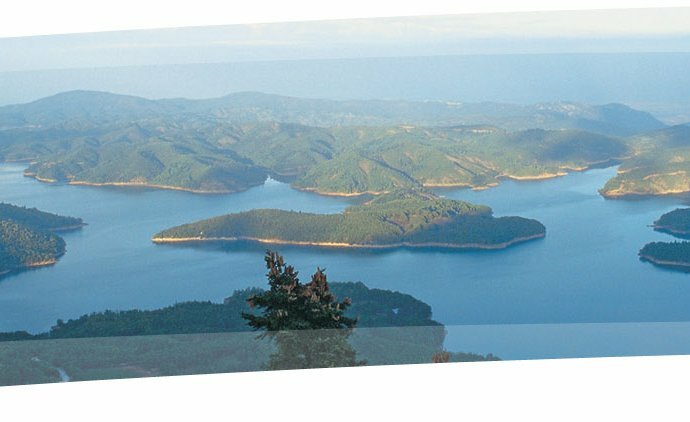 Though the Greek islands seem to get all the attention in actuality some of the most beautiful towns, beaches and landscapes are on the mainland, particularly the Mount Pelion region which could be described as the Colorado Rockies on the Aegean. Pine covered slopes, orchards, streams, incredible beaches and the finest ouzeries and mezedes in Greece are a good reason to go. It's also convenient to the islands of Skiathos, Skopelos, Alonysos and Skyros.